Go to Product Overview and Manufacturing Details for more information. 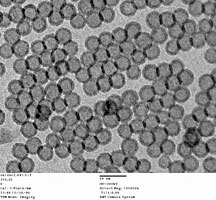 The PELCO® Silicon Nitride Support Films for TEM (also called Si3N4 TEM membranes) have been developed as an addition to our extensive range of TEM support films to further enable nanotechnology applications and extend molecular biology research. These superior products are made by state-of-the-art semiconductor and patented MEMS fabrication techniques using resilient, low-stress inorganic and amorphous silicon nitride thin films supported by a sturdy silicon frame. PELCO® Silicon Nitride Support Films are available in four window sizes combined with either 8, 15, 35, 50nm, or 200nm thin membrane thickness on an EM industry standard 3mm diameter round frame, making them the most desirable and useful silicon nitride support films in the current marketplace. Silicon Nitride Support Films have the advantages of being chemically and mechanically robust and can withstand temperature changes up to 1000°C. They are extremely stable and suitable to conduct a variety of nanotechnology experiments with particles or cells mounted directly on the support films. 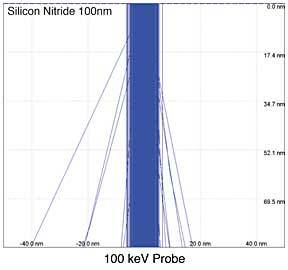 The PELCO® Silicon Nitride Support Films are indispensable tools for virtually all fields of nanotechnology research. They enable direct deposition and in situ observations of dynamic reactions over a wide temperature range. 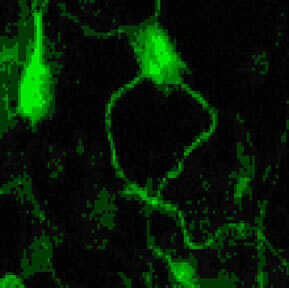 The support film can be used as a passive support film but can also play a role as an active participant in experiments. Hydrophobic and Hydrophilic Substrates have been added for nanotechnology and biotechnology applications. The ultra-low-stress 15nm, 50nm, and 200nm membranes have been Atomic Layer-Deposited (ALD) to create these surfaces: go to Hydrophobic / Hydrophilic support films. 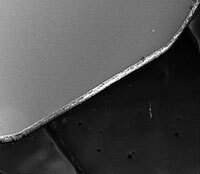 Iron nanoparticles dispersed on a SiN support film and oxidized at 350°C while supported on the PELCO® SiN support films. The image shows the product of the oxidization process: hollow iron oxide nanoparticles. Haitao Liu, Dept. of Chemistry, UC Berkeley, California. PELCO® Silicon Nitride Support Films are manufactured using state-of-the-art semiconductor and MEMS manufacturing techniques. The amorphous Silicon Nitride Support Film is grown on a silicon wafer to the desired membrane thickness of 8, 15, 35, 50, or 200nm. The specimen viewing area is created by etching away a window in the silicon substrate, leaving a perfectly smooth, resilient and chemically robust silicon nitride film. 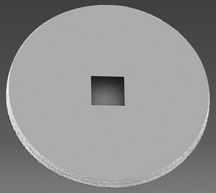 The frame is manufactured as a 3mm silicon disc with smooth EasyGrip edges for easy manipulation by tweezers and will fit perfectly in standard TEM holders. Standard thickness of the silicon frame is 200µm which will fit most TEM holders. A special version with a 50µm thickness and a 0.25 x 0.25mm window is available for special TEM holders which only accommodate thinner supports. Easy handling capabilities and smoothness of the edges are design advantages over other brands of silicon nitride support films. The PELCO® Silicon Nitride Support Films are manufactured like grids and are completely free from debris particles. The mechanical and chemical stability allow for cleaning of the Silicon Nitride Support Films with chemicals (solvents, acids and bases), glow discharge and plasma cleaning. It is recommended that ultrasonic cleaning not be used, as it can easily shatter the PELCO® Silicon Nitride Support Films. Monte Carlo simulations showing less absorption and less scattering in 50nm Silicon Nitride Support Films; Advantage - PELCO®50nm film thickness gives superior imaging and analysis results. The mechanical stability allows for multiple microscopy techniques like TEM, SEM, EDX, XPS and AFM on the same silicon nitride support film. Fits exactly in standard TEM holders and provides EasyGrip edges for handling. Also provides a more sturdy silicon frame. 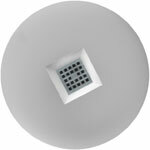 Also available with Hydrophilic/Hydrophobic modified surfaces and as Holey Membranes. 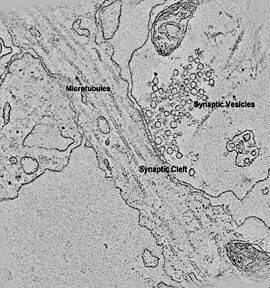 (a) (b) Single slice electron tomogram of a single synapse in (a) where synaptic vesicles and microtubules can be clearly discerned. 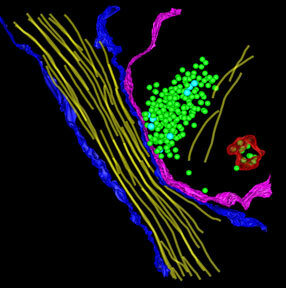 (c) Three-dimensional model of the tomographic data in (b) created by the use of the IMOD suite of programs. Prof. M. Stowell, et. al., MCDB, CU-Boulder, Colorado. 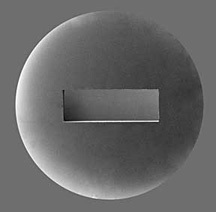 Window/Aperture Size for Ultra-Thin, 8nm Film: Window size is 0.5 x 0.5mm with 25 apertures of 60 x 60µm on a 200nm silicon nitride support mesh. Bar width 35µm, edge 30µm (go to Manufacturing Details). Window/Aperture Size for Resilient 35nm Film: Window size is 0.5 x 0.5mm with 25 apertures of 70 x 70µm on a 200nm support mesh. Bar width 25µm, edge 25µm (go to Manufacturing Details). Frame Thickness: Silicon support structure is 200µm standard. This allows for fitting in all standard TEM holders and gives a sturdy support frame. 50µm is also available for special TEM holders. Packaging: The PELCO® Silicon Nitride Support Films are packaged under cleanroom conditions in the PELCO® #160 TEM Grid Storage Box. Each box holds 10 support films. All of our products have <100> orientation with respect to the surface. Hydrophobic surfaces improve sample preparation for materials that are dissolved or suspended in organics solvents. Nanoparticles in organic solvents (such as carbon nanotubes) will readily disperse on the Silicon Nitride membrane surface. Hydrophilic surfaces enhance wetting and dispersion of aqueous solutions. This avoids particle aggregation effects commonly observed on less hydrophilic surfaces. Particularly useful in water based sols and life science applications. Both coatings are available on 50nm and 200nm PELCO® Silicon Nitride Membranes with a 0.5 x 0.5mm window and 15nm Si3N4 membrane with 9 each 0.1 x 0.1nm windows on a 200µm silicon frame with a diameter of 3mm, compatible with all standard TEM grid holders. Both sides of the membrane and frame are coated. We advise to handle the discs by gripping at the edge. Frame Thickness: Silicon support structure is 200µm standard. 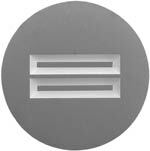 We are pleased to offer a silicon nitride support film on a grid specially truncated with two parallel flats to facilitate Correlative Light & Electron Microscopy experiments.